Hi everyone. 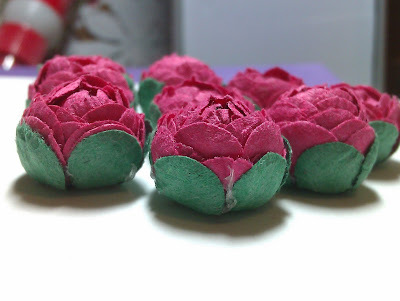 In my last post I showed some more flowers I was having a wee play with and I offered to make a tutorial on the cabbage rose if anyone wanted it. Well, you ask and so you shall receive. 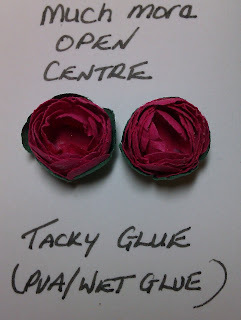 Just a wee note on the open roses from my last post too. 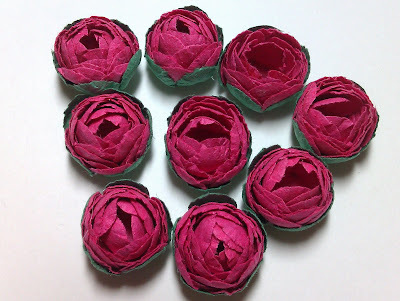 If you look at my tutorial for the Prima like roses these are the instructions you need to make the open roses....HOWEVER, there are a few wee differences to tell you about. 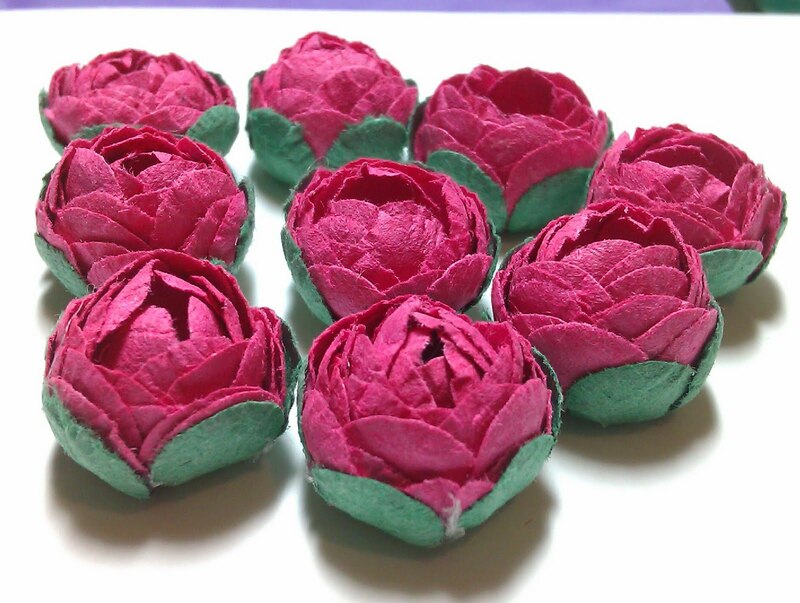 The open roses were made using a 5 petal tonic punch and not the Tim Holtz tattered florals die as in the tutorial. 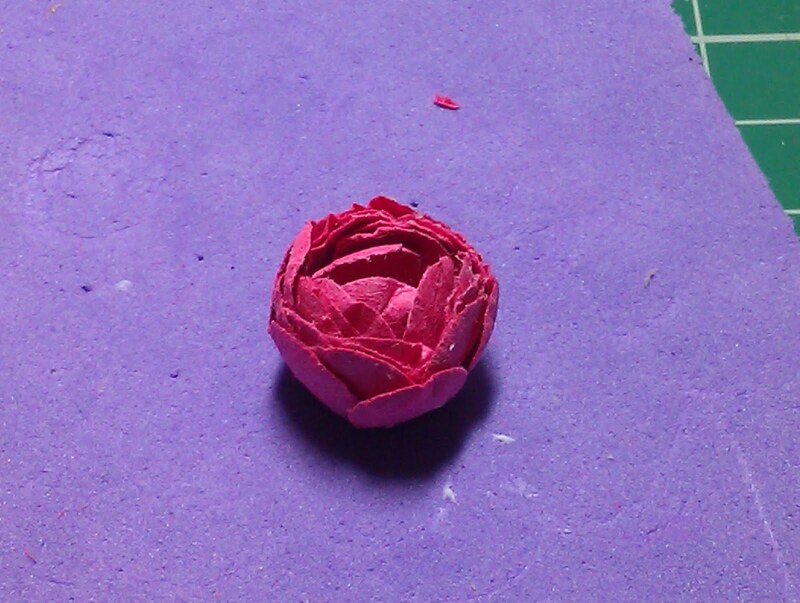 I used 5 layers and 1 leaf layer rather than the number stated in the tutorial and finally the open roses petals werent curled back as such. They were just left to do their thing!! Now as far as Im concerned there are 2 ways to make these flowers and thats with using a hot glue gun OR a wet glue like PVA or Anita's tacky glue for example. For the purposes of this tutorial and in an attempt to save my fingers from scalding whilst trying to take a photo, I have used the tacky glue. However, I personally prefer to use a glue gun and I will show examples of why. In the photo above you will notice that the cabbage rose's centre is more closed and uniform. 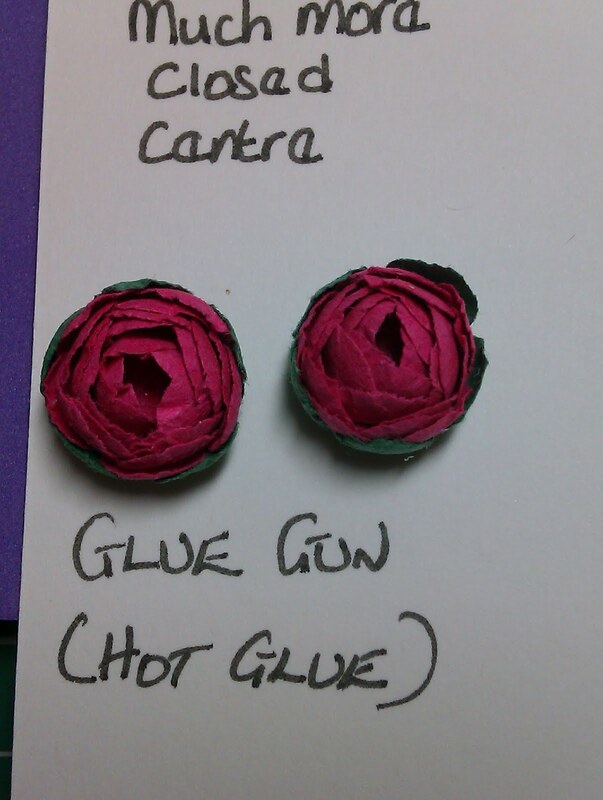 This is because when using the hot glue gun, the petals go into the shape you want them and then the hot glue cools much quicker moulding the petals into place. You will then notice how the centres in the above photo are open more and not quite as neat. This is still fine and its completely up to you which you prefer. 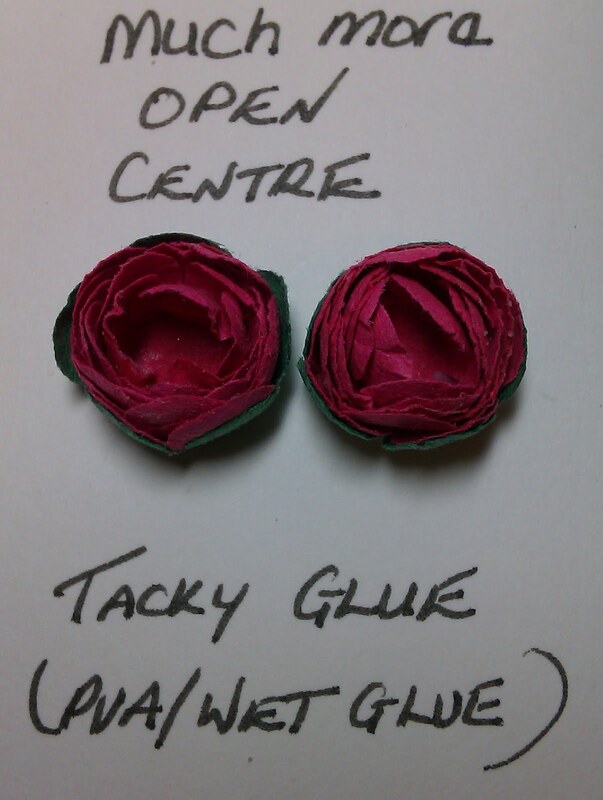 But the reason these roses are more open is because I used a wet glue. Now because the wet glue takes a bit longer to dry, the petals are able to settle and therefore pull back from the centre. Which glue you prefer is entirely up to you. 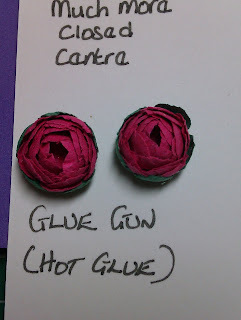 As I said, I prefer the hot glue gun but for this tutorial I have used the wet glue. A 5 petal punch or die, whatever you have will be fine. 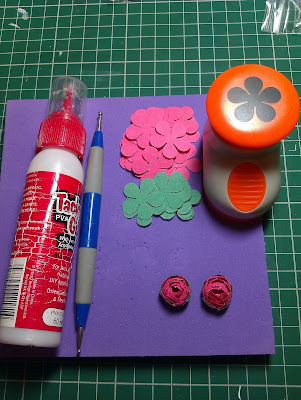 Tim Holtz tattered florals die can be used too. Punch out at least 6 flowers for the rose and 1 green flower for the leaves. Again...the amount of flowers you cut is up to you, as the more you use the bigger the rose. The less you use, the smaller the rose. Ive used 6 and 1 leaf which I find a perfect size. Paper, cardstock, patterned paper, vellum......whatever you want to use. Ive actually made these ones with the cheapest of the cheap £1 shop kids paper pad!! The paper is that recycled cheap stuff we used to draw on in primary school. The paper may be cheap....but the flowers are still beautiful. You need to emboss all the flower petals. A little tip to help shape the flower is when you are embossing....DO NOT hold the flower in place. Let it move around the foam as you emboss in a circular motion. 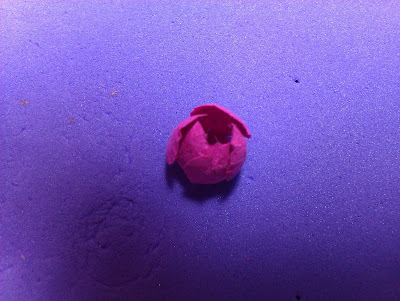 The movement helps shape and pull in the petals. 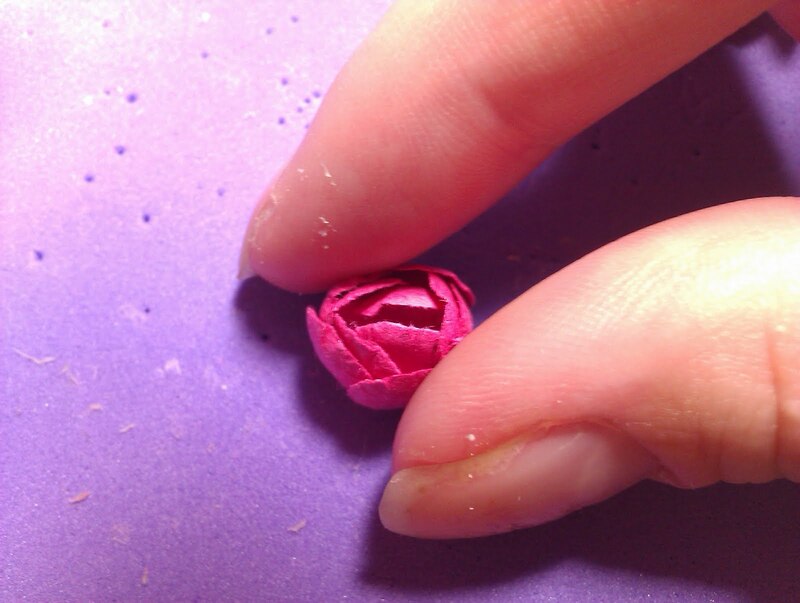 Make sure you emboss down to the bottom of each petal BUT DO NOT emboss the centre. This needs to stay flat. See photos 1 and 2. Take one of the flowers, and this flower will be the centre bud. 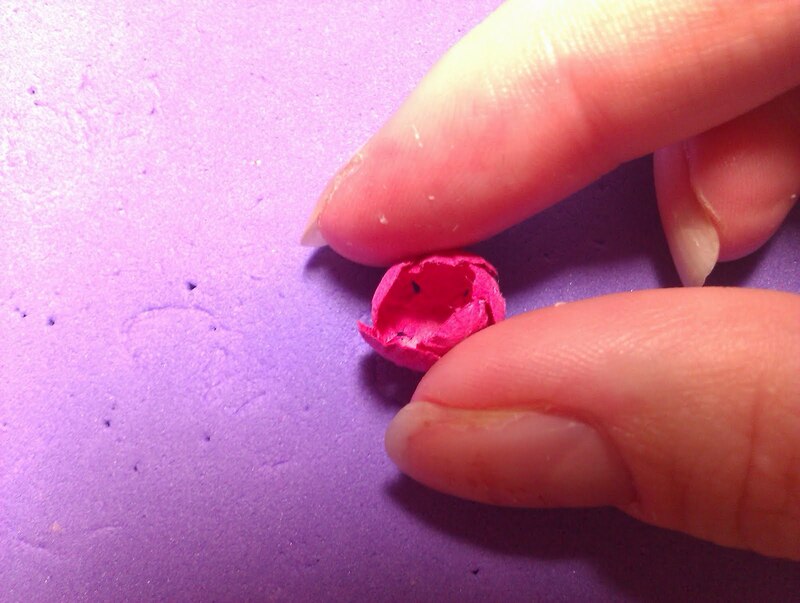 You need to mould this flower into a tighter bud shape but ensure the underside is flat so it can sit on your card etc., properly. See photo 3 and 4. Place a big blob of glue to the underside of the bud and place it inside one of the other embossed flowers. 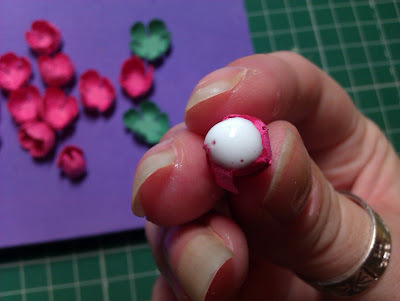 There needs to be enough glue because as you glue it into the next flower, the glue sort of travels up the sides a bit, helping to mould the flower into its shape. Mould the new flower around the bud. See photos 5 and 6. Then add glue to this underside and place into your next embossed flower and mould the flower around it again. Do this with all the rest of your flowers until all 6 layers make the rose. You may find you need to press lightly on the top of the flower just to make sure it is in its chubby little bulbous shape. See photo 7. Now place one last blob of glue to the underside of your flower and place it into the centre of your green flower which forms the leaves. 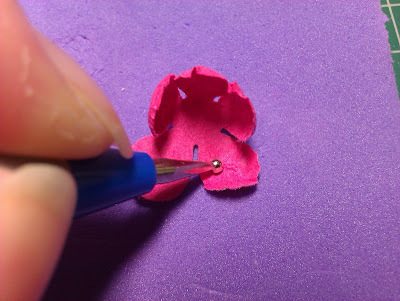 Remember to mould the leaves up around the body of the flower which helps the glue travel up the sides which glues the leaves to the side of the flower. And that is it. 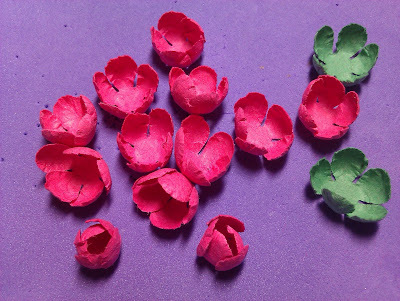 Such an easy peasy flower to make. Just as long as you remember to mould each layer around the other you should be fine and dandy. This gives it the bulbous shape. Please excuse the glue glob, I meant to pull it off!! And again...ignore the glue strand!! Fabulous tutorial Lee, another one for me to try!! thanks for sharing your ideas. What a fantastic tutorial, I have made one of the rosebuds this morning and I am so pleased with it. Thank you so much Lee. You are a very talented lady. You are the star, honey! 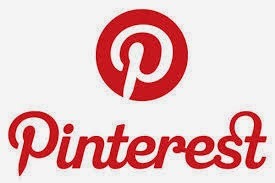 Now I have this link on my blog too! Thank you, Lee! Thanks for your kind words about my blog. Great flower tutorial. I am now a follower of yours too!